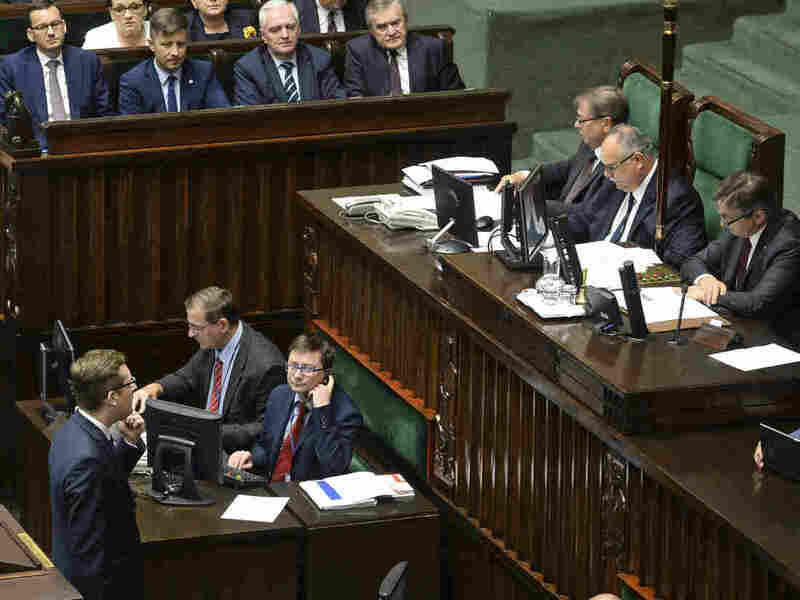 Just four months later, Prime Minister Mateusz Morawiecki â" also a member of the Law and Justice party â" made an unexpected concession. He asked Parliament to amend the law by removing the criminal pe nalty of imprisonment. According to a Polish lawmaker who spoke to Reuters on the condition of anonymity, Warsaw voted for the change in the legislation because it was seeking to bolster re lations with United States "as a deterrence policy against Russia." The World Jewish Congress welcomed the government's steps to amend the law. Presiden t Ronald S. Laudersaid in a statement, "The law as it stands now stifles any real discussion of the extent to which local Poles were complicit in the annihilation of their Jewish neighbors during the German occupation. It sets a dangerous precedent and is contrary to the values Poland has worked to uphold and promote."